A road trip isn’t simply defined by its start and finish points, or even the places between said points, through which it passes. No, each road trip has its own individual character, which is shaped by every aspect of the trip – the landscape, the people, the roads, the weather, and last but certainly not least, the car. In fact, such is the importance of the choice of car, that it shapes the very essence of the journey. As an obvious example, during our previous expedition – V8Nam – was a very different experience for the occupants of the apocalyptic-sounding, bone pounding Corvette, in comparison to those experiencing the journey from the regal comfort of its Rolls Royce travelling companion. Remember Jaguar’s most memorable advertising slogan – space, grace and pace? Well, it pretty much sums up the USP we’re looking for in the Pub2Pub wheels. Jaguar as a company has focused on producing, sleek, stylish and comfortable cars for its entire history, and so there are any number of Jags which would fit the brief, from the gorgeous XK120 right up to the modern-day F-type. 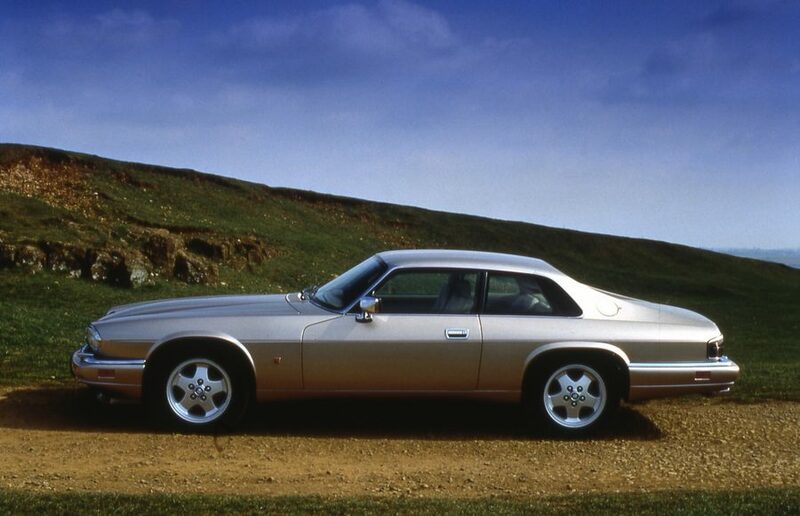 We’ve singled out the straight-6 XJS as it’s the most attainable option, combining sleek lines, a mellifluously smooth powerplant and a gorgeous handmade interior for less than £3,000. And also, because we’ve always thought one would look absolutely fantastic in the middle of a desert, fitted with chunky tyres and a slimline roofrack. So, style and madness, combined – surely that’s TVR through and through? What other manufacturer would be so mad as to replace doorhandles with buttons hidden beneath the wingmirrors, or fit right angle exhausts which can shoot flames at cyclists in the adjacent bus lane with the merest twitch of the foot? TVRs have always been beautiful and bonkers in equal measure, and while they may lack the glamour and pedigree of some of the other vehicles listed here, what they lack in outright badge-appeal, they more than make up for with their glorious madness. 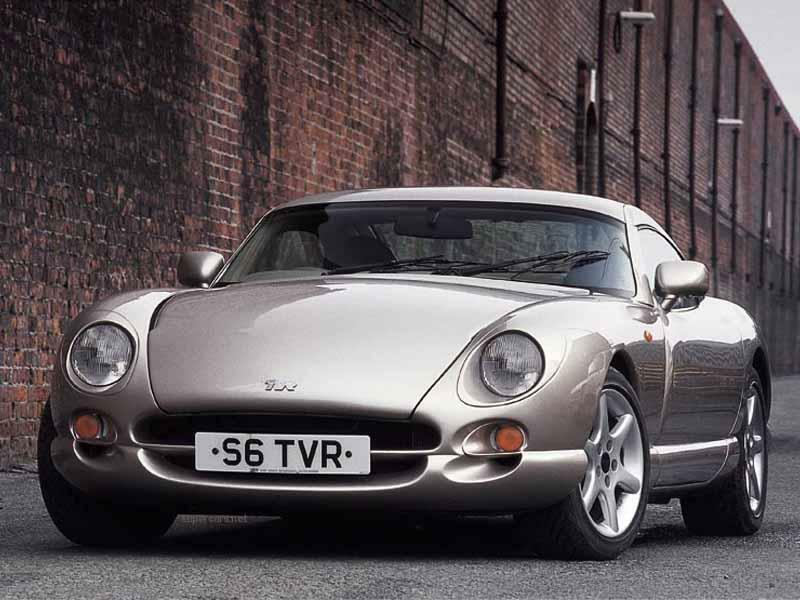 While we wait to see what the newly reborn TVR car company comes up with, we’re stuck with perusing the marque’s back catalogue, meaning the perfect choice for a big trip would surely be the Cerbera; TVR’s only real stab at a grand touring vehicle. Sleek, low, uncluttered and brutally, biblically, unjustifiably powerful, there can’t be many more stylish ways to arrive at an obscure city. And it wins extra style-points for the fact that once it’s out of the UK, nobody will have the slightest clue what it is; only that it’s bloomin’ awesome. 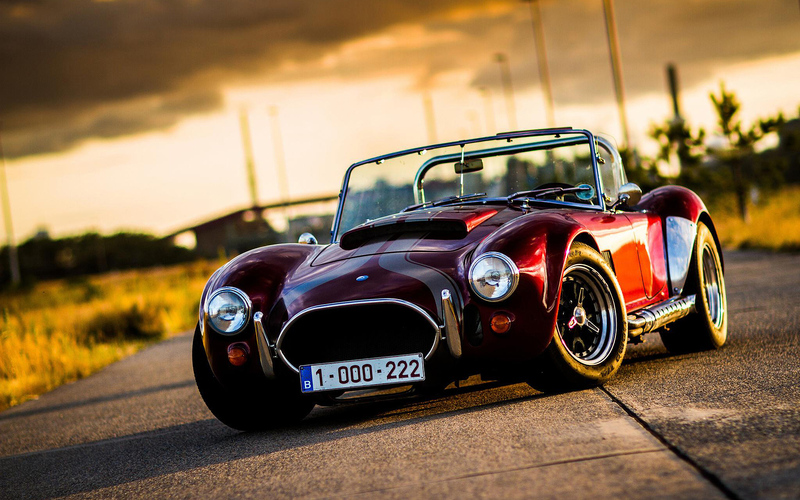 If TVR warrants a mention by virtue of blending brute power with beauty, then surely the AC Cobra – along with its surprisingly affordable replicas – represents the ultimate expression of the stylish muscle car? While obviously moving quite a way from the restrained dignity and comfort of a modern Aston or Jag, the Cobra was, in its day, not nearly so far removed from the products of such companies as it’s perceived nowadays. Just like it’s contemporaries from Jaguar, Chevrolet and Ferrari, it’s definitely stylish, it has a pugnacious grace all of its own, its history is as daring as any automobile and when it comes to being an expression of glorious madness, nothing else on the road can touch it. 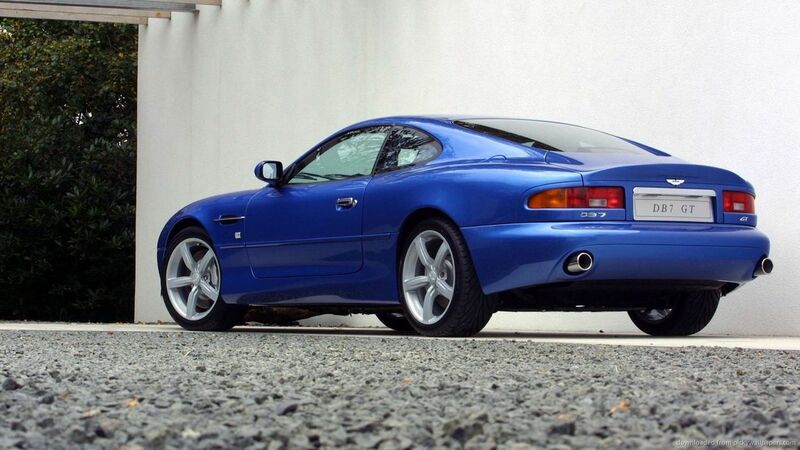 We think it’s an awesome, timeless vehicle which warrants its place on this list for its side-exit exhausts alone. And now, we head to the stratosphere. Look at it. Just look at it. 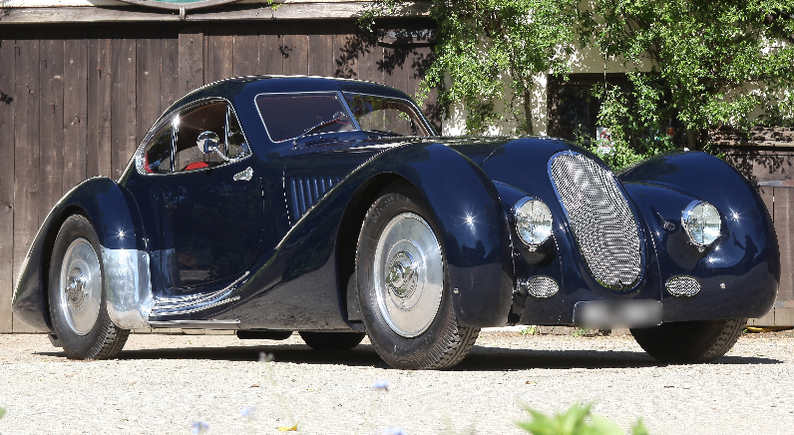 Has there ever been a more perfect expression of automotive style than this coachbuilt coupe? The £400,000 price tag may be a slight obstacle when it comes to a typical road trip, but hell, just look at it. Again. Inside and out, from its salubrious 6.7l straight-six to the artful chrome bumpers, it’s every inch the art-deco interpretation of the perfect grand touring automobile. And we love it. we’ll just have to sell another few hundred thousand copies of the book about the AfricanPorsche Expedition before we can afford one… and even then we couldn’t bring ourselves to then clatter across the Atacama Desert in such a stunning work of art. So there they are; five different interpretations of what the ideal vehicle for a bold yet stylish road trip could be. Obviously some of the vehicles mentioned are pipe dreams, but their inclusion still serves to aid the distillation of ideas which results in a choice being made, just as a few years ago, a similar process led to us selecting a Corvette for the V8Nam trip. So what other monumental acts of record breaking daring-do are we looking into? Firstly, there’s the question of elevation. When you drive across it, the world is anything but flat. During the AfricanPorsche Expedition, we took a sports car along the lowest road on the planet; the smooth tarmac which runs through Jordan next to the Dead Sea, 418m below sea level. V8Nam saw our over-engined steeds reaching heights of 3,767m on the edge of the Tibetan Plateau, while on the Rickshaw Run we coaxed our 8HP beastie to over 4,000m on the Rotang La in northern India. But on Pub2Pub we’re looking to go a stage further, by boldly taking a sports car higher than any sports car has gone before. So just how high have sports cars reached before? A tough question to answer, but an easy one to guess at. The highest tarmac road on the planet is claimed to be the Ticlio Pass in Peru, which reaches a height of 4,818m – or exactly 11m higher than Mt Blanc, the highest mountain in Western Europe. It’s reasonable to assume that sports cars have crossed this, but what of the other higher, unsurfaced passes of the world? The highest mountain pass in the world is the Mana Pass, a graded military road on a sensitive part of the India-China border which was completed in 2010 and reaches a height of 5,610m; however the likelihood of the Chinese military letting anything so frivolous as a sports car along it are pretty much zero. The highest non military passes are Semo La in Tibet at 5.565m and Marsmik La in India at 5.582m. While it’s unlikely that any of these rock-strewn arteries have borne witness to anything so ridiculous as a passing sports car, it’s obviously a possibility, meaning that to be sure of setting the record for the highest altitude ever attained by a sports car, we’re going to have to beat these elevations. So where on Pub2Pub’s long and meandering route could this be possible? There’s really only one place – the otherworldly landscape of the Atacama. This, the driest desert on Earth, harbours a brooding landscape of volcanoes which soar to well over 6,000m. Near the summits of a few of these volcanoes, industrious pioneers once established sulphur mines, with service roads leading up to said mines. Other mountains are home to high altitude solar observatories, also with their service roads, while some volcanoes seem to have tracks leading high up their flanks because… well, just because. 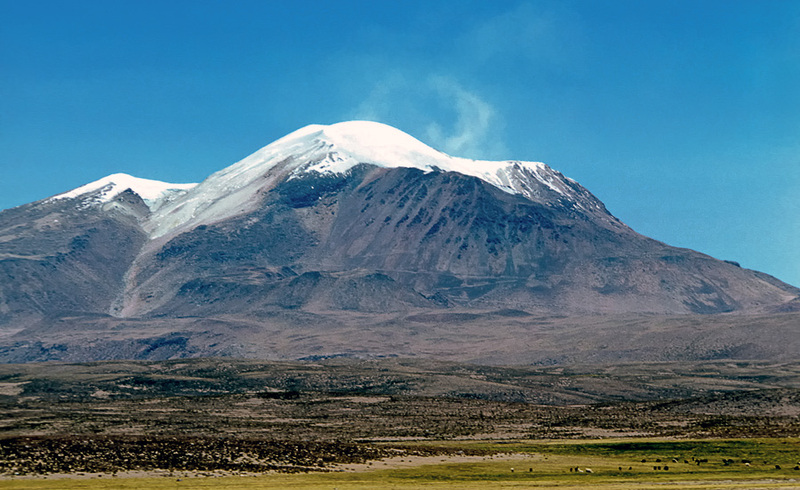 Guallatiri, a 6,071m high Stratovolcano in northern Chile. As the volcano which the Top Gear team attempted to drive up on their ‘Bolivia Special’ episode, this fine protrusion was a logical starting point for the research. In the TV show, Clarkson & Co reached approximately 5,250m before the altitude proved too much for them. Unfortunately, they wouldn’t have got much further if they’d persevered – a mountaineering guide to the volcano states that ‘at approximately 5200m, the track becomes impassable, and you must continue on foot.’ This probably coincides with Top Gear’s highpoint, and means that the chances of getting a sports car any higher on the mountain are slim. This spectacular mountain is located near the town of San Pedro de Atacama, right in the middle of the driest desert on Earth. The region’s clear air makes it one of the best places on the planet for astronomy; the justification behind Sairecabur’s biggest claim to fame – it’s receiver lab telescope, located on the mountain’s flank at an altitude of 5.525m. Predictably, there’s a reasonably passable gravel track leading up to the telescope installation, which morphs into a rougher track that leads to a mountain refuge at 5670m, meaning there’s definitely potential for getting a sports car higher than any of Asia’s high passes. And if it turns out to not be possible? Well, there are worse places to set up camp and spend a night than on the side of a mountain beneath the Atacama’s legendary night skies. 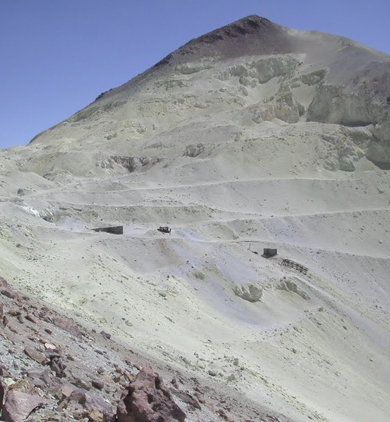 This mighty stratovolcano was once the setting for the highest road the planet has ever seen – a mining road that used to run to its summit, and was plied by 20 ton trucks bringing down load after load of valuable sulphur. However, since the mine closed in 1993, the road has fallen into disrepair. The best information we’ve been able to uncover is that several landslides have severed the road above 5,500m; despite this, it seems that several cyclists have succeeded in reaching the summit recently, so it may still be possible to push on above 5,500m. Further research is needed, as the volcano looks to be a fascinating place to visit, having a history of mining dating back to 1913, and still harbouring the world’s highest permanent settlement, a village 5,334m above sea level. 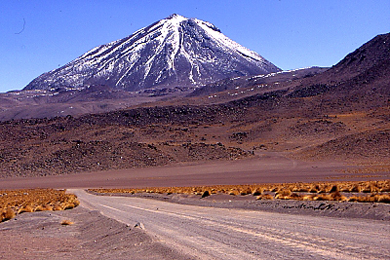 Considerably further south than the other possibilities, Ojos Del Salado is not only the world’s highest volcano; it’s also the location of the current world altitude record for cars – if you can call the jacked up, over-tyred, supercharged Suzuki that Chileans Gonzalo Bravo G. And Eduardo Canales Moya coaxed up to 6,688m a ‘car’. While the terrain high on the mountain is almost certainly too tough for a sports car, like all the mountains on this list, there’s a track which runs high on the mountain, servicing the mountain huts which provide shelter for mountaineers. Most climbers are taken to 5,200m on this track, where they start their ‘on foot’ ascent from the Refugio Atacama; however it seems that some of the local 4×4 owners are willing to take climbers further along the track, all the way to the Refugio Tejos at over 5,800m. If further research shows this route to be in reasonable condition, then it may be the best possibility for setting an indisputable altitude record for sports cars. So there you have it – our research has so far turned up 3 potential venues for an attempt at getting a sports car to over 5,500m altitude. Whether the road conditions will allow success in this rather random goal remains to be seen, but finding out will bring yet another interesting slant to the fascinating mosaic of interests which Pub2Pub is fast becoming. I mean, who’d have thought 2017 would see us going mountaineering in a sports car?